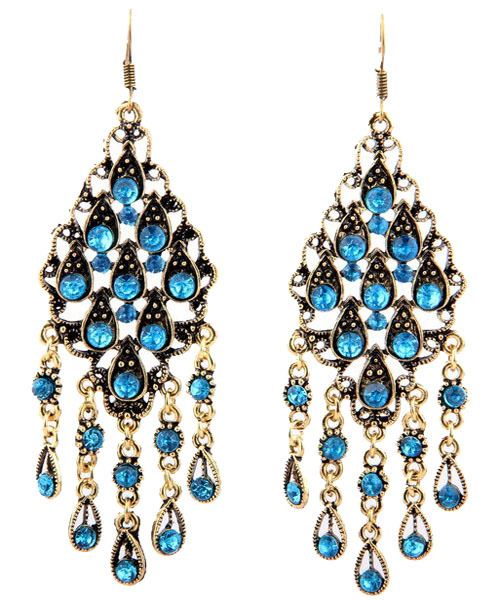 The combination of aged gold-toned metal and airy celestial blue stones makes this accessory romantic and fabulous. The accent is made on five pendants with teardrop-shaped edges. Are you looking for the best fashion jewellery online Australia? Fun, formal, chic or unique we have it all.